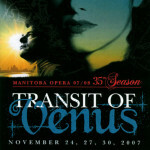 A full length opera in three acts with libretto by Maureen Hunter. 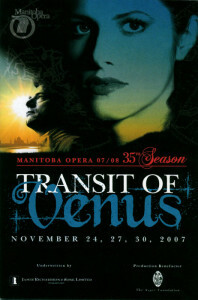 Premiere November 24, 27,30, 2007, Manitoba Opera, Winnipeg Manitoba. Creation and production was made possible through the generous support of James Richardson & Sons Ltd and The Asper Foundation. 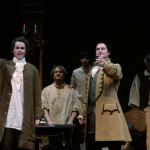 CBC National Radio Broadcast of the Premiere. 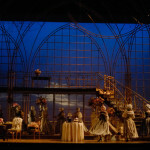 To hear more from the opera (approximately 21 minutes), please click here. 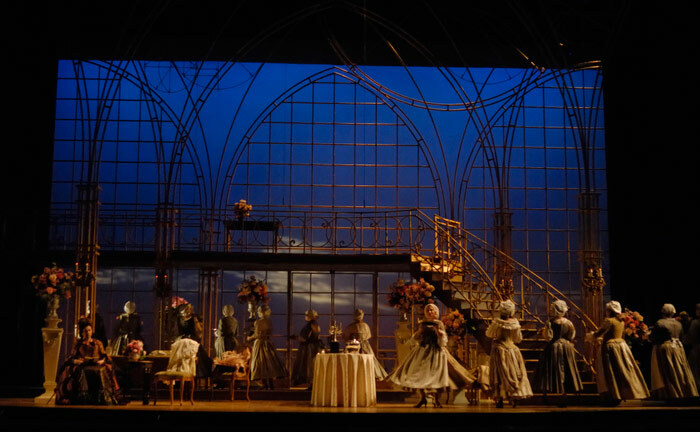 ” listened to the opera, and enjoyed it much….muchly! 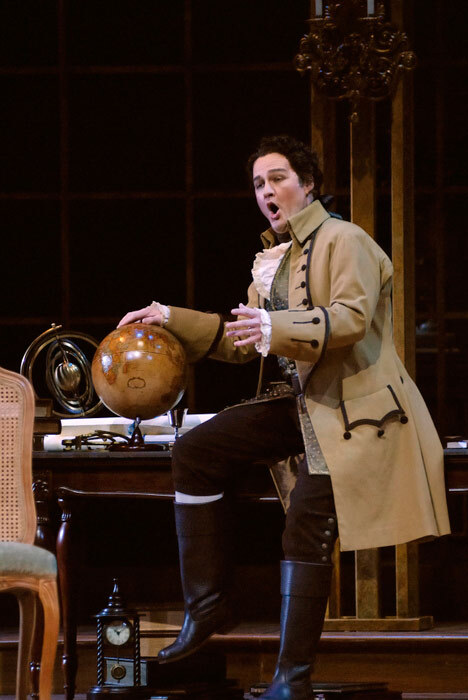 Guillaume Le Gentil (high baritone) a French astronomer, scientist and aristocrat about 36. Madame Sylvie (mezzo soprano) mother of Le Gentil, in her 60’s. Margot (mezzo soprano) companion to Madame Sylvie, formerly Le Gentil’s lover. Celeste (soprano) daughter of Margot, engaged to Le Gentil. 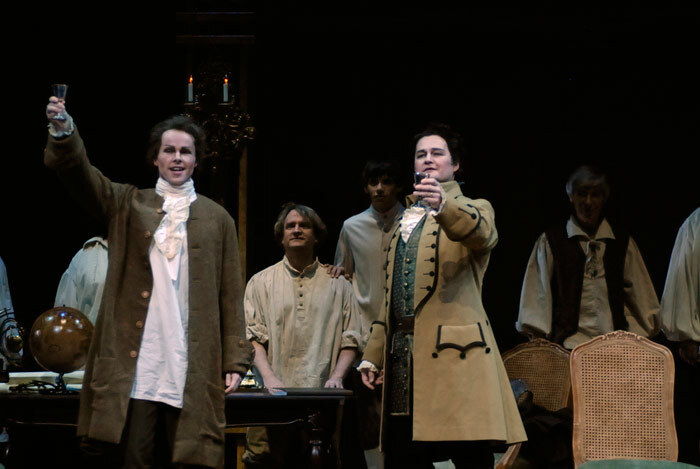 15 years of age in act 1, 21 in act 2 and 26 in act 3. 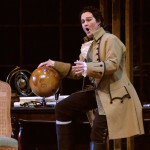 Demarais (tenor) assistant to Le Gentil, a young scientist. 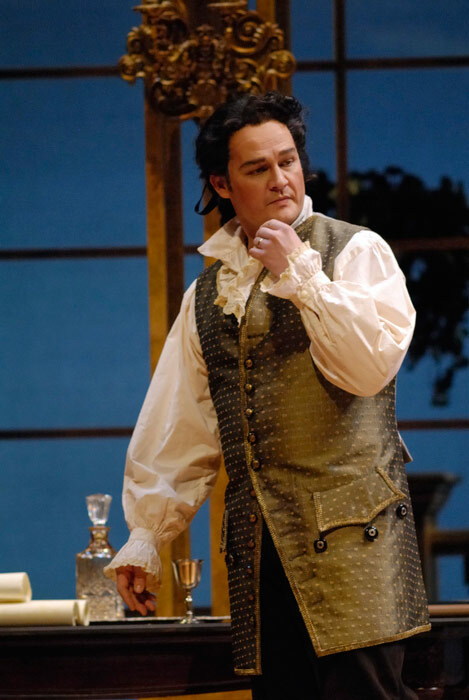 La Tour (baritone) head servant of Le Gentil’s household. 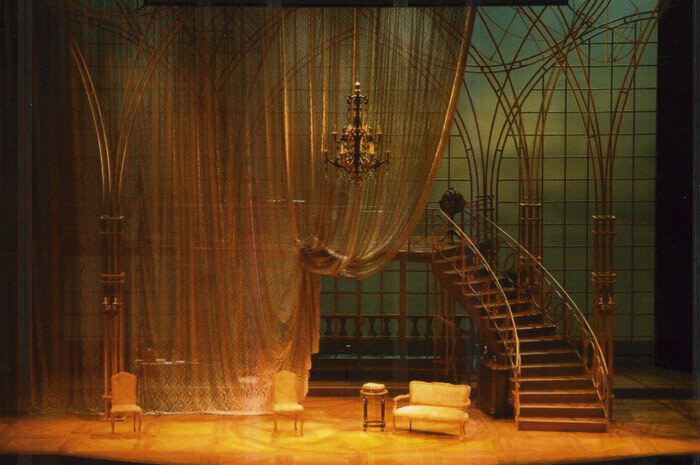 “She was always there, shining in the distance like the sun.” Le Gentil, Act 3. 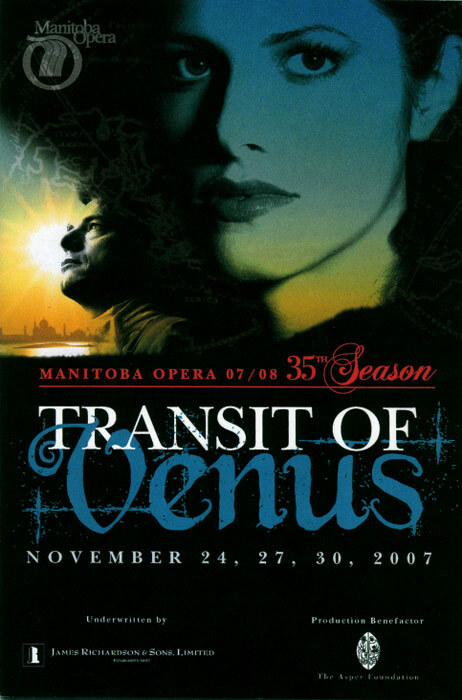 Transit of Venus takes place in France in the 18th century. The story begins as Le Gentil prepares to depart from France for India on his first attempt to record the transit of Venus. (The transit was an important scientific event that would help measure the distance between the Earth and the Sun.) 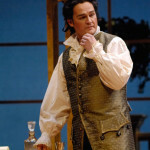 Le Gentil’s departure is unexpected and his household is disrupted. Celeste, the young woman to whom he is engaged is especially caught off guard. 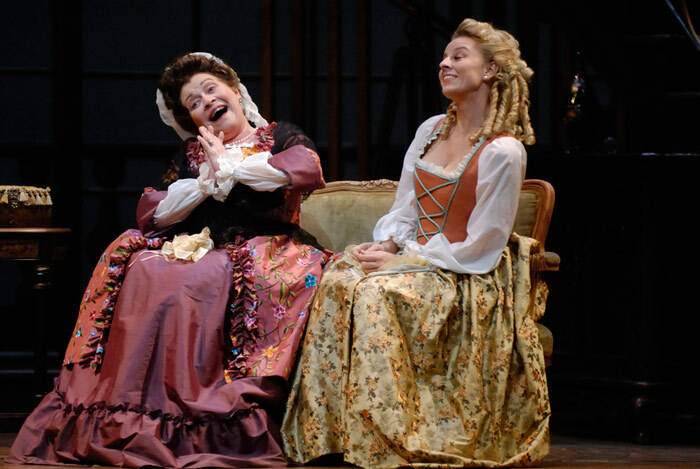 Le Gentil’s mother, Madame Sylvie, asks her son to tell Celeste and Margot, Celeste’s mother, the truth about his intentions for them both before he leaves. Margot, is shocked when Le Gentil tells her of her daughter’s engagement as she and Le Gentil had had an affair when they were younger. Celeste goes to visit Le Gentil early the next morning in his observatory, in an attempt to seduce him to keep him from leaving, but he refuses her advances and convinces her to wait for his return. compete with the universe forever. Five years later, Margot finds Le Gentil sitting despondent and alone in the sitting room where everything is covered in sheets. During the intervening years, Le Gentil has been assumed dead and his estate has been sold. His mother is now senile and lives with relatives. But Margot assures Le Gentil that Celeste still is not married and will arrive shortly. Le Gentil tells Margot his journey was very difficult and it was hard to make it home. 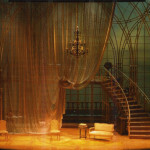 When Celeste enters, Le Gentil is struck by her beauty but senses something different about her. He is unsuccessful in reconciling with her even as he tells her of the inner struggle he has had. She can’t bear to listen to him. She announces she is going to have a child and intends to go with Margot to New France. Le Gentil is hurt and angry and demands to meet the father. Celeste says that the father is dead. Margot has to mediate the fight that erupts between Celeste and Le Gentil. He offers to marry Celeste, telling her he loves her and will not be turned away by ‘one fateful indiscretion.’ Celeste denies it was an indiscretion. In grieving for Le Gentil, she turned to the one person who knew and cared for him almost as much as she. As her grief diminished in time, she realized she had fallen in love with the man. Le Gentil realizes Celeste is referring to Demarais, and begs her to reconsider her position. Celeste refuses, telling him that she did love him once for what he was and what he taught her, but doesn’t now and never will again. She leaves. Le Gentil is stunned. Even at the worst of times, even after failing to chart the second transit, Le Gentil believed he would never lose Celeste. He tells Margot about the strange circumstances that prevented his charting the second transit – an unseasonable storm that blew in and obscured his view of the sky. 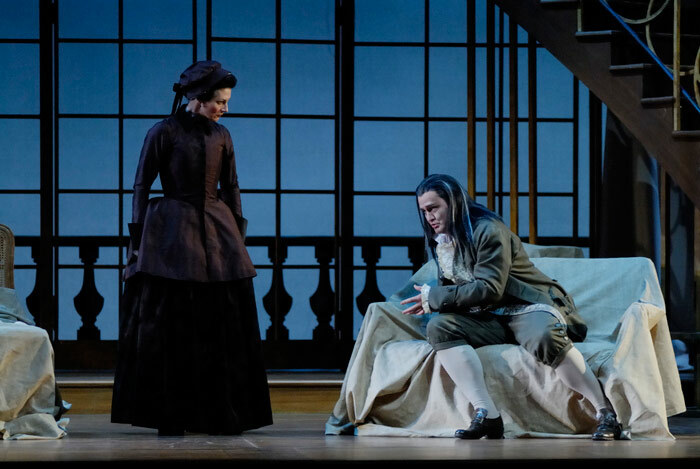 Unable to find the words to console him, Margot leaves and Le Gentil is left alone in the ruins of his home, having lost both his dream of scientific success and the woman he loves. Piano vocal score and orchestra score for sale. Orchestra parts – rental.